Donald Trump in Diplomatic STORM! Guess who is coming to the White House? 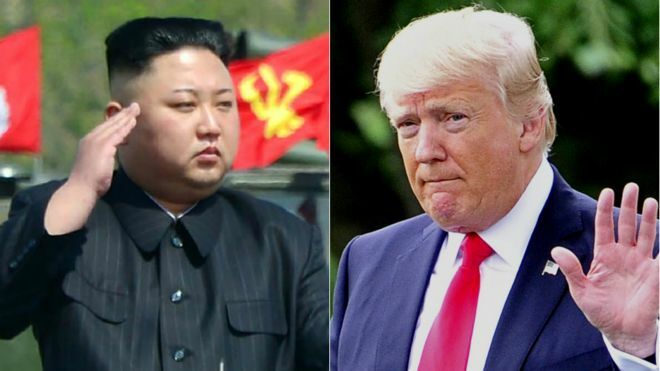 In an absolutely incredible turn of events North Korean dictator Kim Jong-un and US President Donald Trump are to meet in person by the end of May which is an incredible turn of events considering the two countries nearly went to thermo nuclear war! News of the meeting was delivered overnight by South Korean officials after talks with Mr Trump at the White House.They passed a verbal message from Mr Kim, saying the North Korean leader was "committed to denuclearisation". South Korea's President Moon Jae-in said: "this is a miracle, if President Trump and Chairman Kim meet following an inter-Korean summit complete denuclearisation of the Korean peninsula will be put on the right track in earnest." Many criticised Trump for his tough talk on North Korea but it now looks like he has played a blinder! Read: "What this "man" did to a young girl in Manchester is REPULSIVE"